Use the Layflat cutter to make perfect holes in the layflat tubing for attaching the teardrop fittings. 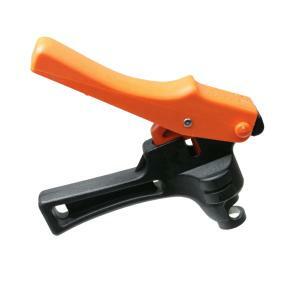 The orange handled Layflat Cutter is designed to cut smaller (14mm) holes . Works with all standard Irritec US layflat fittings. Creates a 0.550" hole. The blue handled Layflat Cutter is for the larger (19mm) holes. Creates a 0.750" hole.